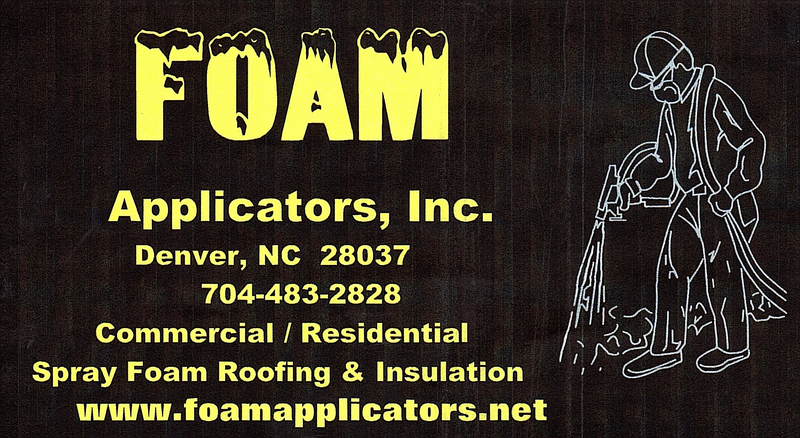 Foam Applicators, Inc. is actively seeking General Contractors for long-term business relationships. If you are a General Contractor looking for a Foam applicator, you have come to the right place. With Foam becoming more popular these days, many inexperienced applicators are popping up everywhere. Make sure you use an experienced applicator! Why Choose Foam Applicators, Inc.? We will guarantee our foam application will be done on spec, on time, and on budget . We will work with your company and your schedule, we have no hidden fees, we will not "low ball" a bid only to back charge extras later. Our pricing is based on cost per sq. ft. We are fully licensed and insured. As I said before, I have been spraying only Foam and Coating for over 25 years! A special note to Contractors unfamilar with rigid polyurethane Foam. If you receive a bid that is extremely lower than most, beware!! Foam cost are very similar between manufacturers, so the only way to cheapen the bid is to cheapen the product! If your project calls for a specific manufacturer, we will gladly spray your specified brand. Make sure you get the correct foam at the specified thickness! To make Foam Applicators, Inc. part of your winning team or for more information, call us today! Copyright Foam Applicators, Inc. All rights reserved.